Today I gave a talk at St John’s about meditation, intuition, executive search and personal branding. The audience consisted of college members who have studied or taught economics. It’s always interesting to hear how economics is developing in response to events. 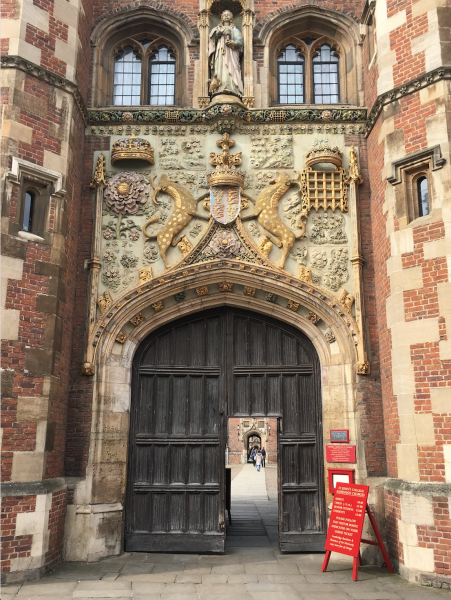 The photo shows the Main Gate, with the statue and coat of arms of the foundress, Lady Margaret Beaufort, the mother of Henry VII. The college arms are flanked by yales – mythical beasts with elephants’ tails, antelopes’ bodies, goats’ heads, and swivelling horns.